Start making money with social trading! Learn more at MyDigiTrade review! 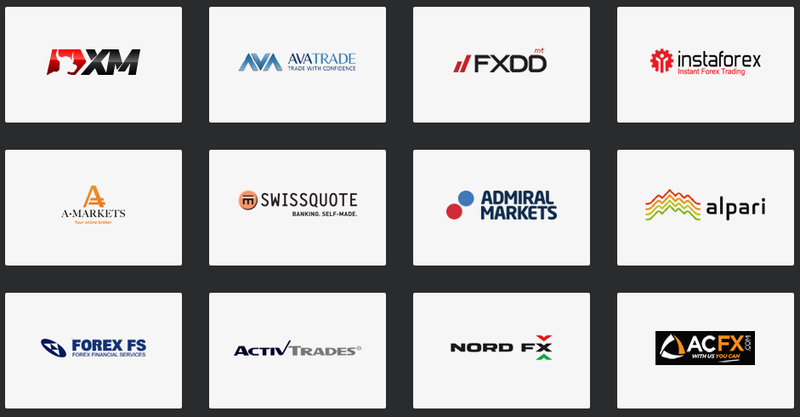 MyDigiTrade is the social trading network that began operating in 2010. MyDigiTrade is registered in the British Virgin Islands. 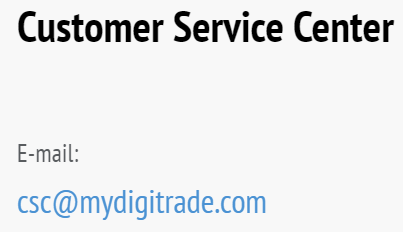 In this MyDigiTrade review we will study carefully MyDigiTrade services to provide you with our honest opinion about this social trading platform. In order to access the features of a real trading account at MyDigiTrade copy trade, you first have to open an account at one of the partnership brokers. Minimum investment requirement is $350 (or any other equal amount in other currencies), though some strategies at MDT will require more capital to invest. The currency in which you can open an account depends on the broker you choose. There is a fully operational MyDigiTrade demo account that is available for 30 days. It grants you virtual $25000, though you might choose the equivalent amount in other currencies, such as: USD, EUR, GBP, CHF, JPY and RUB. Leverage available is: 1:33, 1:50, 1:100 and 1:200. Spreads vary among brokers, however the average spread for EUR/USD pair is 2.5 pips. We still recommend you to contact your brokers to determine all trading conditions in detail. You do not have to pay any MyDigiTrade fees associated with using the MDT services. This means that there are no monthly subscription fees like at Collective2, no management fees and no performance fees. However, brokers are allowed to charge you a commission if they decide to do so. Traders are paid the part of the commission per trade. Additionally, successful strategy providers are awarded with more percentage of the commission if they steadily perform better. At MyDigiTrade social trade you can currently follow 89 strategies. Technically, you can copy either automated or manual strategies, though the majority of strategy developers use EAs or FX robots to trade. 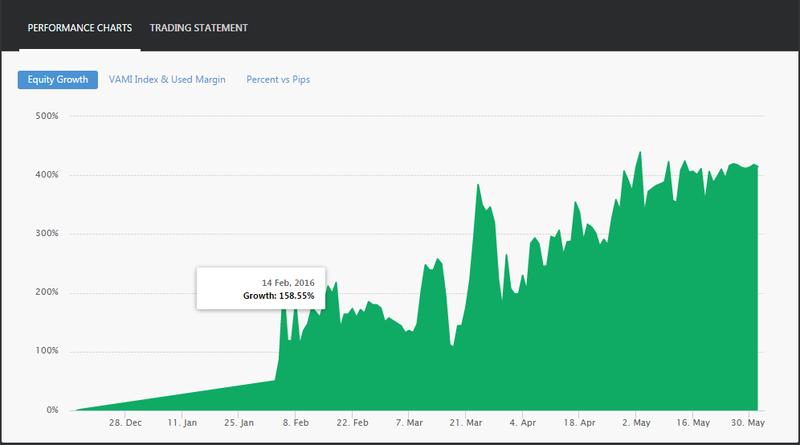 MyDigiTrade investment platform also allows you to see these basic stats from the reverse side. This means that you can view strategies with both the best and the worst stats applied to each parameter. Another feature that we should mention is the MDT Rank system. Basically this special algorithm is meant to analyze statistical value of traders and according to the assessment results defines the position of the strategy in the list. MyDigiTrade social trading rank is expressed in the number on the left when you look at the roster of strategies. In the reality this ranking system is quite unreliable. For example, there are many traders who utilized high risk strategies to reach the top MDT rank. In our opinion, it is much better to pick strategies manually and study their statistical data in detail. Once you click on the strategy, you will be shown more information about the system. 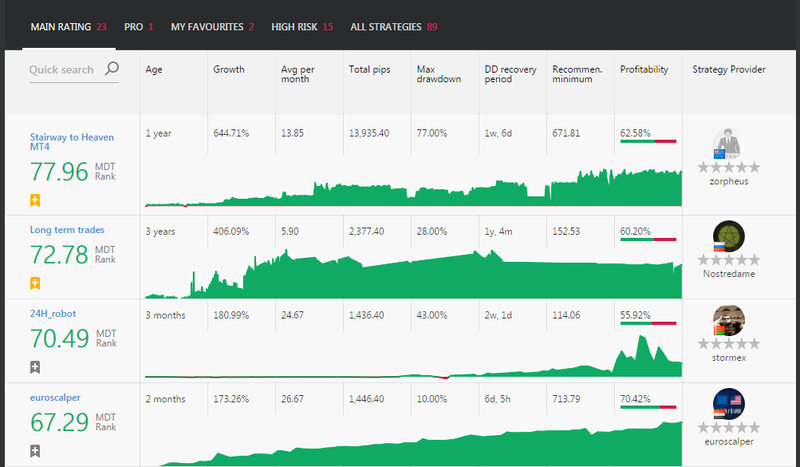 Well, at first MyDigiTrade social trading platform displays the main performance parameters as follows: Equity Growth (%), Total Pips gained, Average growth per month (%), Max Drawdown and Level of Risk. Moreover, the strategy instantly indicates the minimum investment amount. To get the visual representation of performance, you can view 3 graphs. Namely those are Equity Growth, VAMI Index & Used Margin and Percent vs Pips. In addition to all this, at each strategy profile it is possible to view Profit vs Duration and Trade Population graphs. The last one shows the proportion of instruments traded by the strategy. Although there is a full trading history in access, you cannot download it in csv to make your own analysis. Another disappointing thing that MyDigiTrade reviews noticed is the impossibility to observe open trades at the strategy provider profile. MyDigiTrade offers 3 ways of adjusting risk and money management parameters for you: Automatic settings adjustment, Percentage of the total balance and Fixed trade size. As the name implies, when you choose automatic settings adjustment, MyDigiTrade applies the settings in the proportion to your equity. However, we would recommend you to skip this option and manually create your risk/money management strategy to avoid unexpected issues of MyDigiTrade copy trading. The second way to go is the percentage of the total balance. Such method of capital allocation enables you select the percentage of your current equity to a single strategy. You are free to set this percentage from 1% to 100%. As for the fixed trade size, you indicate the amount in lots that would be unchangeably applied to all trades opened by this strategy. However, we should warn you that if a strategy provider works with a dynamic trade size, your trading results may differ in the end. In order to steer clear of unfavourable consequences, it is advisable to check Percent vs Pips graph to identify if there is any discrepancy between the curves. Furthermore, you can use advanced settings in accordance to your risk management approach. Fixed Stop Loss: the level at which the trade will be suspended. However, if the Stop Loss of strategy provider will be smaller than yours, the priority would be given to the strategy provider. This works in the inverse way as well. Fixed Take Profit: the level at which the trade will end in profit. Rules for setting Take Profit are the same as for Stop Loss. Force Exit & Stop: when your equity drops below the value specified in the field, all trades of this strategy will be closed automatically. Worst Deviation: the tool to control maximum possible slippage for the trades opened by the strategy. You can select the amount from 1 to 10 pips. Limit quantity of simultaneous trades: you can do it by the number of trades or by the level of equity. Additionally, at MyDigiTrade investment network you can apply the inversed trading to strategies with the worst performance. Hence, you can profit from losing trades by opening the trade in the opposite direction to that of the strategy provider. 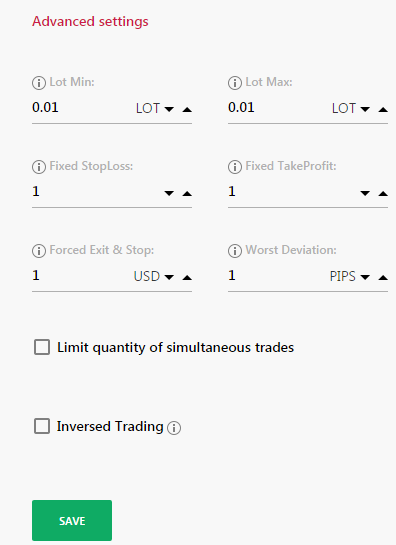 In fact, this feature works in the similar way as the “contra-copy” at TradeCrowd. Furthermore, you are able to manage the trades opened by strategy providers manually, if you consider this necessary. In our opinion, MyDigiTrade attitude to introducing strategies is quite negligent. One of our MyDigiTrade complaints is the lack of trading prerequisites to the strategy providers. This means that anyone with live account can become a strategy provider, even if they have been trading Forex just for 1 week. In addition, strategy providers can trade using their demo accounts and this is a pretty common practice at MyDigiTrade. Most social trading platforms require users to trade with real money to avoid strategies with unjustifiably high risk, which is not the case of MDT. Although MyDigiTrade has introduced some social interaction features such as ratings and reviews of strategies, we have not seen anyone to communicate at the platform. For some reasons, even top traders remain unrated, not to tell about lack of MyDigiTrade opinions or comments to the strategy. Moreover, MyDigiTrade does not offer Facebook or Twitter integration, yet you can share the profile of the strategy provider that you started to follow via different social networks. Traders on their behalf mostly do not write any descriptions to their strategies and that is concerning. We would not call MyDigiTrade scam because of these drawbacks, though there are definitely some improvements that need to be done at this platform. Client support here is not bad, although we have noticed that there are no phone and live chat to use. The only way to reach support agents is via email. The website operates in 3 languages: English, Spanish and Russian. When you enter the website, MyDigiTrade encourages you to open their platform guide, where you can a lot of useful tips for MyDigiTrade platform. However, we have investigated their FAQ and turned out to be poor. Conditions for making deposits and withdrawals depend on the broker which you choose when registering the live account at MyDigiTrade. Payment methods vary as well, though Credit/Debit cards and wire transfers are always available. You have to contact your broker to clarify the information about funds management.